What and Where is Rancho Belago of Moreno Valley? 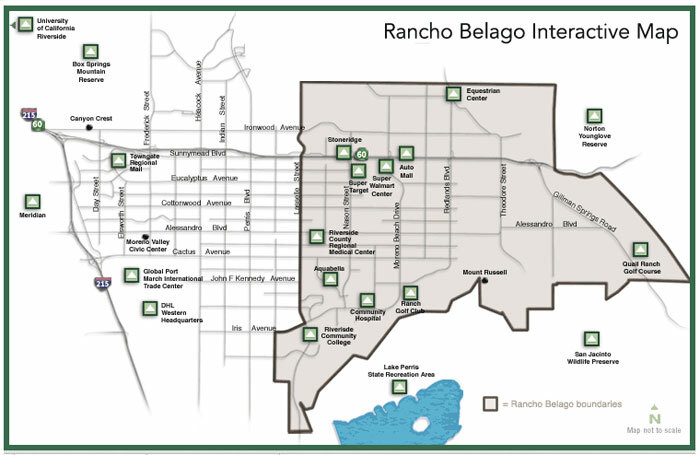 Where and What is Rancho Belago? Rancho Belago is generally the southeast portion of Moreno Valley. It was created in 2007 and is an upscale and newer part of Moreno Valley. With new stores, shopping centers and homes, Rancho Belago is a fast growing community with a lot to offer. It is exciting to see all the new developments and opportunities that are taking place here in Rancho Belago, in both real estate and commercial and retail development. If you would like to learn more about Rancho Belago, such as buying a home in Rancho Belago, click here.